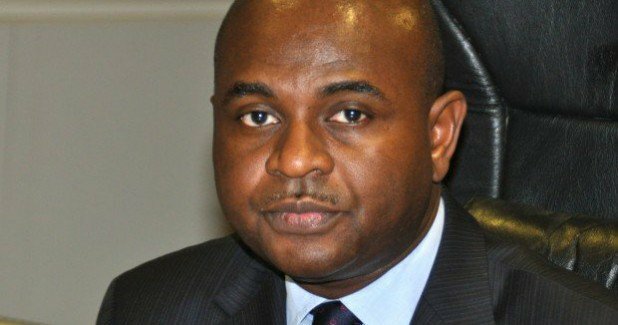 Kingsley Moghalu, a former Deputy Governor of the Central Bank of Nigeria, has confirmed his exit from the Presidential Aspirants Coming Together (PACT), after Fela Durutoye emerged as consensus candidate on Thursday. Durotoye was picked ahead of Moghalu and SaharaReporters publisher, Yele Sowore. In a series of tweets on his official handle, Moghalu implied that the process that led to Durotoye’s emergence was flawed and made it clear he would continue his quest to be Nigeria’s president on another platform. “I am firmly in the race for President of Nigeria in 2019. “I wish to inform members of my “To Build A Nation” (TBAN) movement, the Kingsley Moghalu Support Organisation (KIMSO) nationwide, the Kingsley Moghalu Volunteer Force, Youth for Kingsley (Y4K), Women for Kingsley (W4K), Kingsley Moghalu Disciples, the Young Progressive Party (YPP) and my other supporters nationwide and in the diaspora that I am pressing ahead with my plan to contest the 2019 presidential election. “This is despite the arrangement for a consensus candidate among the young presidential aspirants under the aegis of Presidential Aspirants Coming Together (PACT), which today produced an outcome that has left many Nigerians expressing surprise and disappointment. “1. The arrangement had unraveled even before the final selection of the consensus candidate. Only seven aspirants participated in the final voting out of the original 18 aspirants, mainly because many of the aspirants had withdrawn from the process. Four candidates who were present in the meeting this morning withdrew from the process even while the voting process was ongoing. Therefore, PACT did not produce a true consensus candidate. “2. Clause 13 of the PACT Memorandum of Understanding asserts the supremacy of the constitutional rights of the aspirants to pursue their political aspirations. “I therefore have chosen to continue without distraction to pursue my vision in the presidential race for 2019 in the national interest and in deference to the overwhelming outpouring of support for my candidacy from all parts of Nigeria. “It is my humble and well-considered view that the Office of the President of the Federal Republic of Nigeria requires competence and experience in these three vital areas. “Thank you,” he wrote.